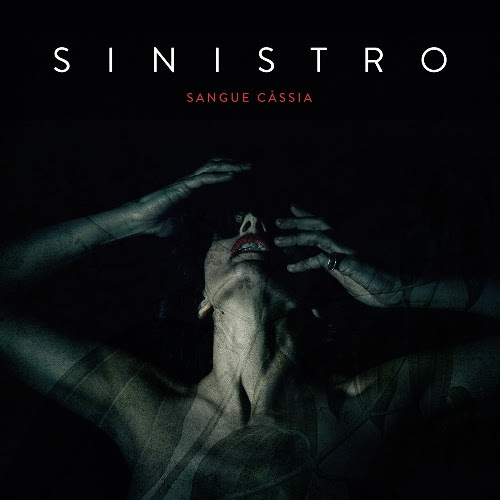 The Gauntlet - SINISTRO are streaming "Abismo"
Portuguese post rock/doom band SINISTRO are streaming "Abismo", the third advance track from their forthcoming new album, 'Sangue Cássia'. "Abismo" is another crushing, emotionally driven track highlighted by Patricia Andrades gorgeous vocals. "Abismo" is streaming in the form of a music video here. Regarding the new track, SINISTRO vocalist Patricia comments: "A woman in dialogue with mountain-high walls. A place of two voices with wounds and wreckage sounds. From dialogue to a monologue, in silence, starting a journey to find herself in and with the world." 'Sangue Cássia' will be released worldwide on January 5, 2018. The album is available for pre-order across multiple formats at the Season of Mist E-Shop HERE. Fresh off the heels of the PARADISE LOST and PALLBEARER European tour, SINISTRO have announced new festival dates across Europe beginning next year, including appearances at Inferno Festival (Norway) and Metal Days (SLOVENIA). More dates will made available in the weeks to come. A full list of confirmed tour dates, including the band's record release show in their native Portugal can be found below. Hailing from Lisbon, Portugal, and driven by five unique individuals from distinct art circles, SINISTRO are devastatingly heavy and graceful. Since 2012, the band have delivered a unique take on doom rock accentuated with a soundtrack-esque approach that has given raise to their reputation as an essential name in the Portuguese art and music scene.